I‘m consistently struggling to find the perfect balance of the right illustration medium and execution…oh, and artistic satisfaction. The latter is always in short order. Call it pessimism or psychosis, but the link between what’s in my head and what I end up with, while it’s getting closer, still seems like an ever-shifting mirage. I wouldn’t call these failures because I was able to “finish” them, but what a bumpy ride. Often, I’ll use the other side of the paper of a failed painting. I mean, why not, the paper is still good and it’s that or I throw out an opportunity to learn something. I think this has also freed me up to be willing to try new things and make mistakes. I’ve often loved the look of ink line with watercolor. 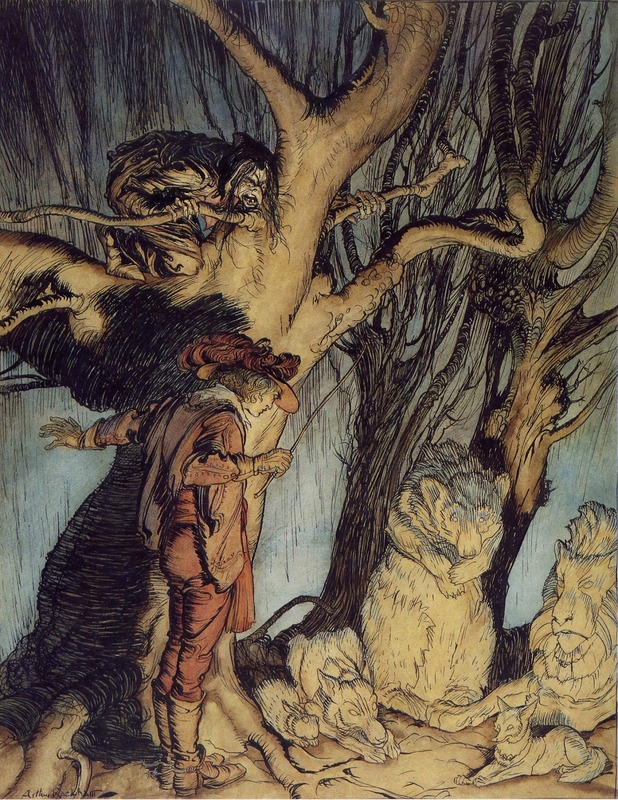 Arthur Rackham was quite famous for this but I always found his palette to be limited and bland. But it worked with his luscious linework. 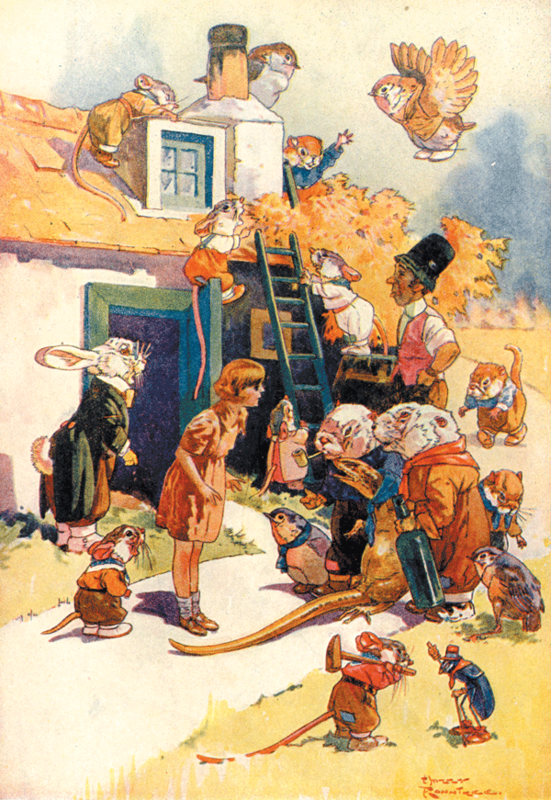 Then you get guys like Harry Rountree who’s line was very limited but had lush light-filled color palettes. Somewhere in the middle is where I’d like to be. Juan Gimenez showed me early on it could work really well in comics, but I’ve yet to come up with anything that I’d be willing to try over and over again. Back to the lab.